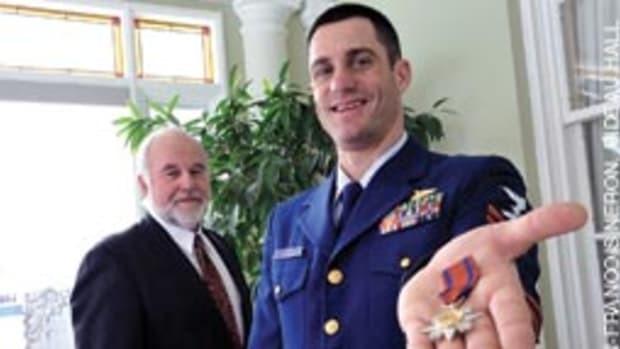 The Coast Guard and Coast Guard Auxiliary in Alaska received both the Gold Medal and Silver Medal from the Association for Rescue at Sea for separate rescues — one involving four people in a life raft and the other 13 people aboard a sinking vessel. 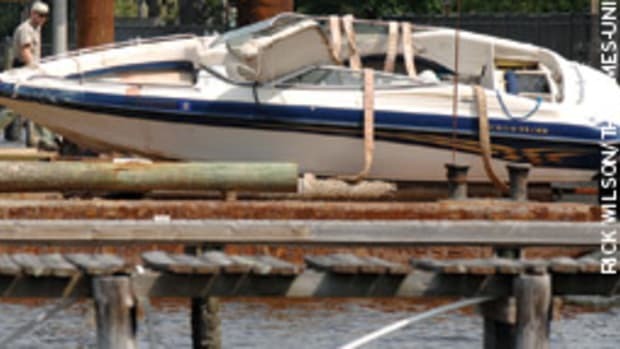 The national boating fatality rate is 5.3 per 100,000 registered boats, according to the latest Coast Guard statistics. In Alaska, says Folkerts, it’s 18. “It’s partly because help tends to be far away, since our state is so big and the water is so cold,” says Folkerts, 55. 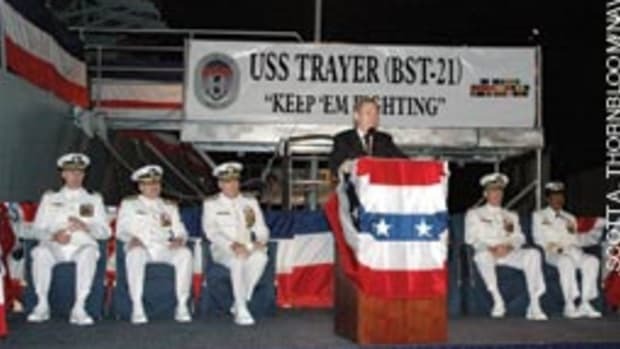 The Gold Medal, handed out along with the Silver at an awards ceremony in Washington, D.C., went to Petty Officer Willard Milam, 42, a rescue swimmer who saved the crew of a 42-foot fishing vessel, Feb. 10, 2007. 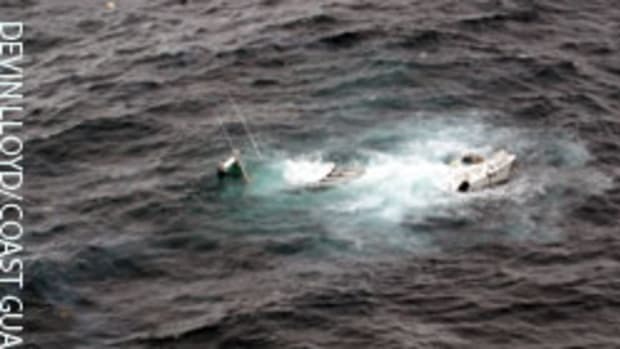 The four crewmembers were in a life raft in 15-foot seas off Ualaska Island, near Makushin Bay. Air Station Kodiak received a 406 MHz EPIRB signal at 11:22 p.m. Feb. 9. 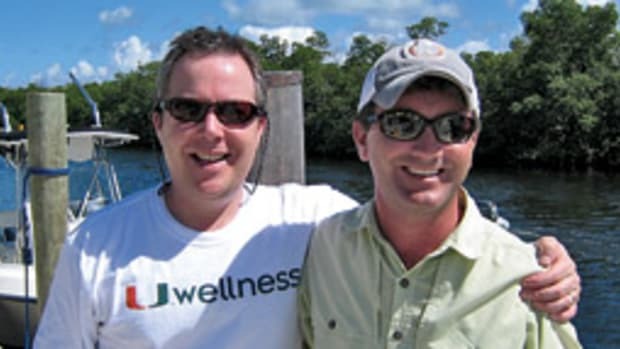 The raft’s location was verified at 12:01 a.m. when a second signal came in. A Coast Guard helicopter was launched at 12:30 in near-zero visibility and winds gusting to 60 knots. Water temperature was 40 degrees. Upon arriving on scene, the helicopter crew spotted a flare, and Milam jumped into the frigid water 10 yards from the raft. There was no sign of the fishing boat. Reaching the raft, he saw that the four survivors were drenched, and one was severely hypothermic. Milam radioed the helicopter to deploy the basket as close to the raft as possible to minimize their exposure to the water. Four survival suits were sent down on the hoist hook to prevent further exposure, and two were quickly swept away. Milam retrieved the suits and returned to the raft to assist the survivors into anti-exposure gear. 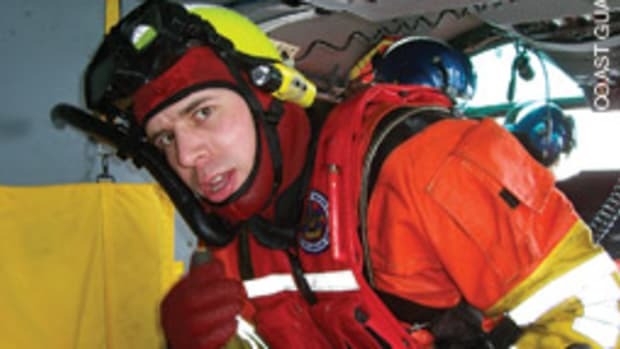 He felt his legs going numb, and for the first time in his 20-year career — 15 as a rescue swimmer — he requested an emergency pickup. Back in the helicopter, it became apparent his motor functions were deteriorating. However, fuel was getting low, and the crew would be facing a headwind on the way back, leaving only 15 minutes to complete the rescue. There were thoughts of lowering the basket and letting the rest of the survivors get in themselves, but Milam valiantly returned to the water. On the final hoist, the remaining survivor jumped feet-first from the life raft and knocked the basket from Milam’s hands. A wave broke over them both as Milam swam toward the basket with the man, who began to panic and got the hoist cable wrapped around his neck. Milam removed the cable from the man’s neck, then placed him in the basket. With all four survivors on the helicopter, Milam was hoisted up. He had become hypothermic and started fading in and out of consciousness. The crew made their way back to Dutch Harbor at about 3:30 a.m., and he was transferred to an awaiting ambulance along with the other survivors. Milam says that’s the last thing he remembers before waking up a few hours later in the clinic, surrounded by heat lamps and blankets. When he was released at 7:30 a.m., he saw some of the family members of the survivors in the lobby, who expressed their appreciation for his efforts. 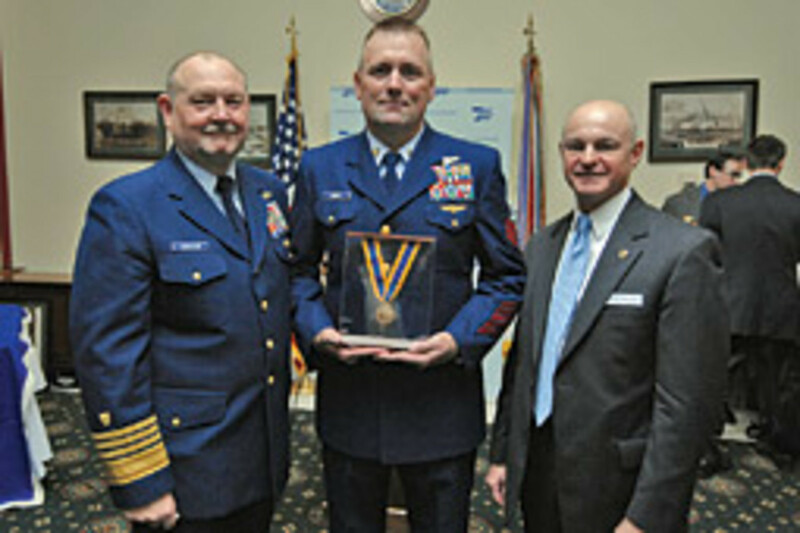 The AFRAS Silver Medal went to Coast Guard Auxiliarists Shane A. Taylor, Richard H. Liebe, Raymond F. Miller and Canadian Coast Guard Auxliarist Michael Cupit for their role in the rescue of 13 people from the 39-foot charter vessel Halibut Endeavor April 25, 2007. Cupit happened to be with the U.S. Auxiliarists for a weeklong training session at the Coxswain Academy as part of an auxiliary exchange program. 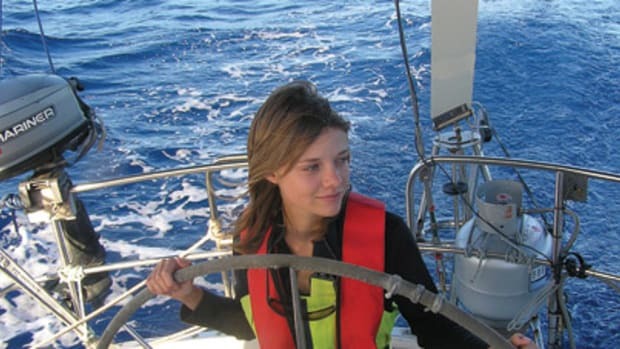 “Cupit was only our second Canadian to attend our academy,” says Folkerts, the Coast Guard boating safety specialist. The crew was undergoing a training exercise in Homer, Alaska, on a 27-foot Coast Guard boat when they heard a radio transmission to Air Station Kodiak around 1 p.m. of a boat in distress. When they arrived, they found a very different scene. Thirteen people were huddled on the bow of Halibut Endeavor. Cupit says the entire aft deck was awash. Water temperature was 39 degrees with winds of 10 to 15 knots and clear conditions. With 11 passengers transferred, Liebe, who was at the stern, saw the vessel rolling toward them, and Taylor was able to break away. However, the captain and first mate were still on the bow of the now partially overturned vessel. Liebe, Miller and Cupit got the 11 passengers into the cabin to check for signs of hypothermia and injuries, while Taylor nosed his bow up to the Halibut’s bow and retrieved the remaining two. Liebe says the transfer of all 13 people took about 15 minutes. Meanwhile, the Roanoke Island, a 110-foot Coast Guard patrol boat home-ported in Homer, had arrived and took the passengers aboard. For information on the Association for Rescue at Sea, visit www.afras.org.